IHG® Rewards Club - eBooks - Habari Ya Safari? 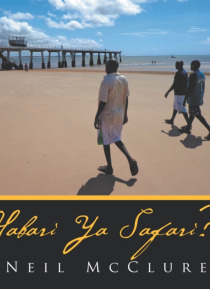 Habari Ya Safari is the much anticipated follow-up title to Neil McClures Mombasa Revisited. This is a separate collection of images gleaned from four separate trips to East Africa over a five-year period from 2009 to 2014. If you enjoyed Neils first book, you will love this new volume containing one hundred carefully selected photographs. Habari Ya Safari contains an even mix of color and black-a… nd-white images sure to excite all lovers of photography and travel.